Crystal Pen applicator for paper, easy and precise to use. Add tiny 2.8mm Swarovski crystals quickly and precisely to paper and card with the Crystal Pen from Knorr Prandell. 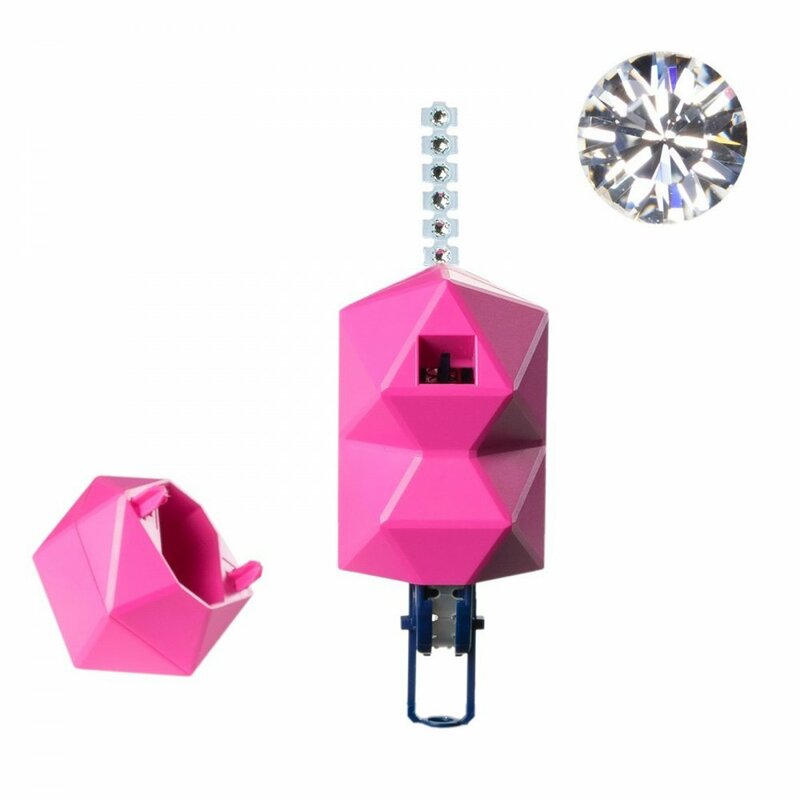 Load the strips of adhesive Swarovski crystals into the easy to handle ergonomic tool. Position the 'bullseye' where you want to place your crystal and press the Crystal Pen down towards the surface - a simple 'click' to add a touch of luxury to wedding invitations and stationery. This pack contains one Crystal Pen and one refill strip with 21 x 2.8mm Swarovski flat back crystals. A bit about the brand: Knorr Prandall are a large manufacturer of Arts and Craft Products, with an expertise in Jewellery Making accessories and tools.